After five years of sustained growth in the U.S. following a long stagnant period, industry experts said the renaissance in consumer interest here for fine Swiss-made timepieces is showing no signs of coming to an end. Optimism reigns for the holiday retail season and kickoff to the new year. The U.S. has emerged as the biggest market for Swiss watch consumption year to date, according to the Federation of the Swiss Watch Industry, the trade group in Bienne, Switzerland. Almost $1.3 billion worth of Swiss timepieces have arrived in the U.S. between January and October, a 15.6 increase from last year’s $1.1 billion during the same period. Hong Kong, Japan and European countries such as Italy, France and Germany follow behind the U.S. in Swiss watch consumption. Finished Swiss watch exports have shown a downward trend, according to Swiss figures. Almost 20 million watches left the country between January and October, a 4.9 percent decrease compared with last year’s 10-month figure of 21 million. In 2004, total watch exports amounted to 25.1 million. However, fine Swiss watches show increasingly strong growth because of an overall increase in the value of the timepieces leaving the country. In October, $916 million worth of watches were exported from Switzerland, a 9.2 percent increase over this month last year. Between January and October, the value of finished watch exports was $6.9 billion, an 11.4 percent increase compared with last year’s figures. The value of Swiss watch exports increased partly because of more use of precious metals, such as white and yellow gold and platinum. Unlike the remainder of the accessories business, which has experienced a stripping away of sparkly touches, fine Swiss watches also continue to use diamond treatments on the face and bezel. Block anticipates such bejeweled pieces to be among the bestsellers for the holiday season from brands such as Cartier, Patek Philippe and Tag Heuer. When it comes to price, the sky’s the limit, with watches in the $10,000 and up category drawing consumer attention. Block said the holiday period is a great selling season, but doesn’t make or break a year for Tourneau, a point echoed by Cathy Cronin, diamond and watch buyer for jeweler Shreve, Crump & Low, which opened in Boston last month in addition to having a boutique in the Mall in Chestnut Hill, Mass., and a sister store, Schwarzschild Jewelers, in Richmond, Va.
“It’s a very important season, accounting for about 25 percent of annual business, but it’s equal with spring, when people are making purchases for Mother’s Day or graduation,” she said. In addition to industry adjustments to compensate for the strong euro against the dollar, the increase in the value of timepieces has raised the prices on watches in the stores by 10 percent, she said. Retail prices range from $900 to $50,000, with average consumer purchases falling into the $5,000 to $7,000 range. Despite the price increases, sales of brands such as Cartier, Rolex, Baume & Mercier, Breitling, IWC, Jaeger-LeCoultre and Tag Heuer remain so strong that Cronin anticipates upping the space dedicated to watch sales in the Shreve, Crump & Low flagship by 10 feet in the next year. Cronin also said watch complications, which were once a feature sought out primarily by men, are gaining interest among women buyers. Tag Heuer dedicated half of its media budget this year to the women’s category, hiring Thurman and tennis star Maria Sharapova as ambassadors for the brand, said Daniel Lalonde, president in North America of LVMH Moet Hennessy Louis Vuitton, which owns the brand. Sharapova even had input in the development of Tag Heuer’s $1,895 Formula 1 diamond watch, which premieres for the holiday retail season and features 125 diamonds on the bezel. Lalonde said the luxury watch business in the U.S. is largely underpenetrated with only 5 or 6 percent of the population owning a watch that retails for more than $500. Julien Tornare, president in North America of Vacheron Constantin, which has celebrated its 250th anniversary this year, said the brand’s message has been about showing the good points of being old. “We are very proud of our history and our savoir faire, as well as our ability to run our business in a contemporary way,” Tornare said. The holiday season is important for the brand, not only because business peaks, but also because many of the brand’s new models that premiered during April’s Swiss watch fairs begin arriving in retail stores, Tornare said. One model Tornare said represents the direction of the brand in the ladies’ market is the new Malte silhouette with a moonface complication. The moon itself comprises diamonds. It retails from $20,000 to $30,000. Tornare expects double-digit percentage growth from last holiday season to this holiday season. 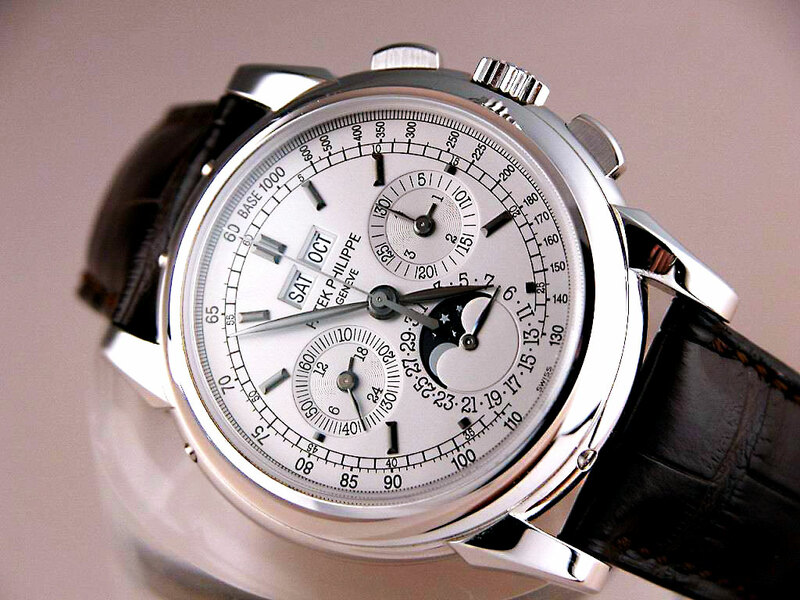 Hank Edelman, president of Patek Philippe in the U.S., said the brand is also optimistic about the holiday season. Edelman said the brand’s Twenty-4 silhouette continues to be its bestseller, but the men’s-inspired sporty oversized Aquanat Luce with a colorful rubber strap and diamonds at the bezel is a new piece that has received positive consumer response at $29,950 retail. At Michele Watches, creative director Michele Barouh continues to focus on the brand’s strength in ladylike looks with the introduction for the holiday season of its new Attitude silhouette. Posted on October 2, 2015 October 2, 2015 by Fole1967	This entry was posted in Fashion Watch and tagged Cartier, LVMH, Patek Philippe, Tag Heuer. Bookmark the permalink.